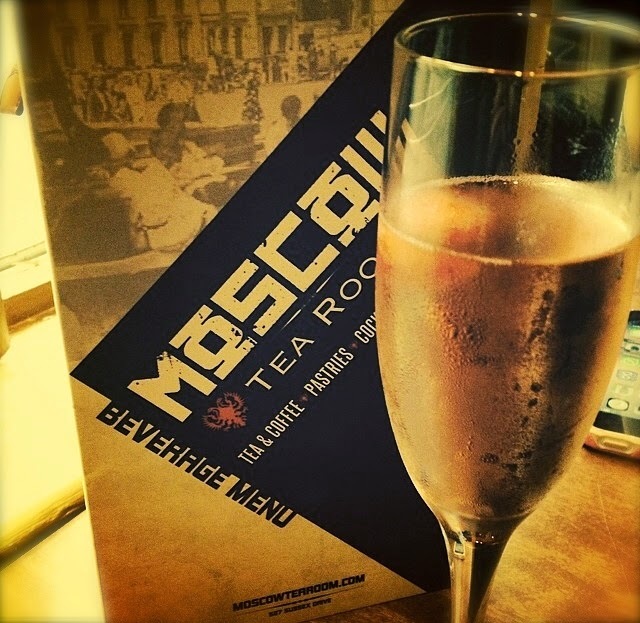 The wait is finally over…the Moscow Tea Room has officially opened its’ doors in Ottawa! 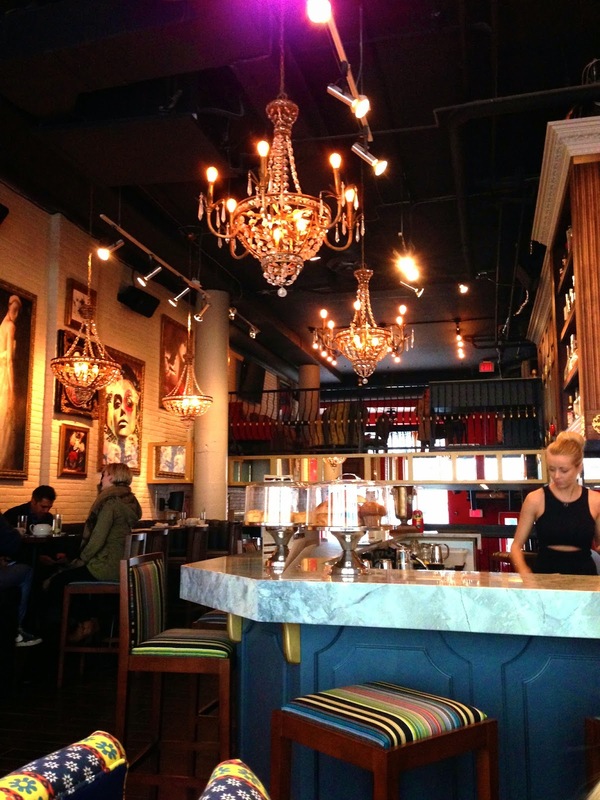 Lola and I were quick to try out this new hot spot after their launch on April 25th. 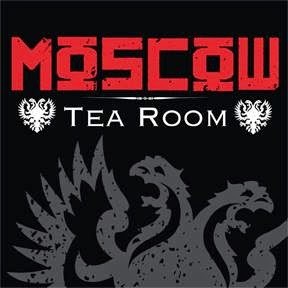 Unlike anything Ottawa has seen before, the Moscow Tea Room is an eclectic blend of teahouse, bar, restaurant, lounge and gallery. Abbis Mahmoud, the mastermind behind this ingenious enterprise, moved into the former Schad women’s clothing store on Sussex Drive, and utterly transformed the space. The room is lavishly decorated with overstated art, bright majestic patterns, elaborate moldings, huge chandeliers that line the ceiling and a grand marble bar. Its regal, whimsical elegance is very inviting and a pleasure for the eyes. 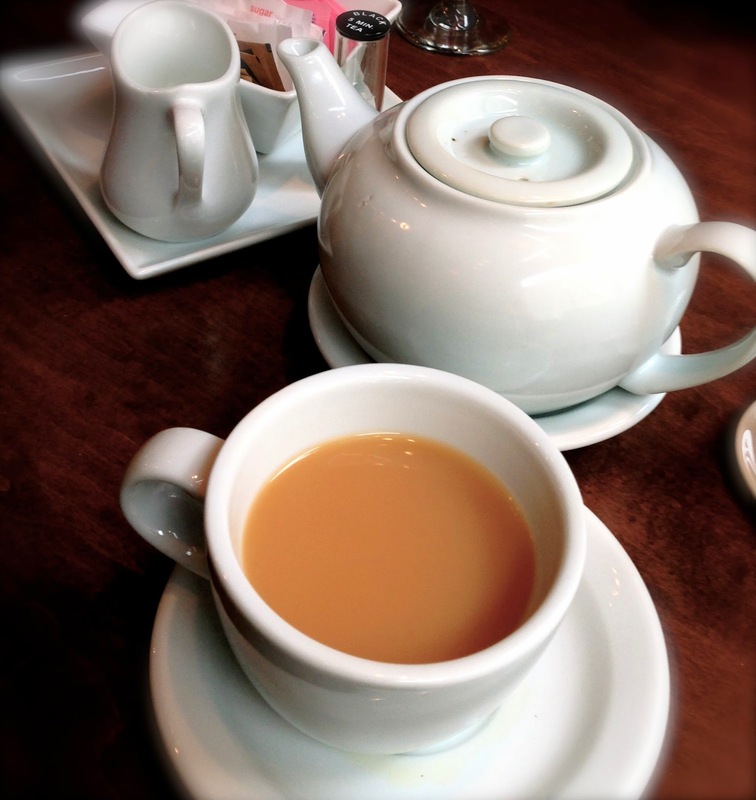 When we arrived at the Tea Room on a rainy afternoon, we were warmly greeted at the door by our uber-accommodating waiter, after which time we were seated at a corner table lined with custom-designed couches directly beside the window overlooking Sussex Drive. We were immediately impressed by the menu, which featured much more than just tea. While you could certainly get your fill off of the extensive tea options, the beverage menu also featured numerous handcrafted cocktails, wine, beer and coffee. But as a huge tea and chocolate lover myself, I had to go with a pot of the Rooibos Chocolate Kimicha Tea ($3.00), which was very smooth and flavourful! Lola, although tempted by the many vodka cocktails, decided to go with her classic drink of choice…Prosecco ($7.50), but with a rosé twist. While choosing our beverages had been difficult, it was even harder for us to choose our food. From scones and pastries straight from Ottawa’s local gems, like the Scone Witch and Moulin de Provence, to traditional Russian Borscht, to quiche, to salads and sandwiches, to charcuterie and cheese boards, to caviar, the menu offered something for every palette. We finally decided to share the ‘Devil on Horseback’ ($10.50) and the ‘Chef’s Choice Mixed Board’ ($22.00). Without question, the ‘Devil on Horseback’ stole the show! This delicious small plate featured Medjool dates stuffed with blue cheese and wrapped in Prosciutto, oven roasted to perfection and topped with Balsamic glaze. The combination of flavours was heavenly and we couldn’t get enough. Our only recommendation would be to offer a bigger serving! The Chef’s Choice Mixed Board was also fabulous. 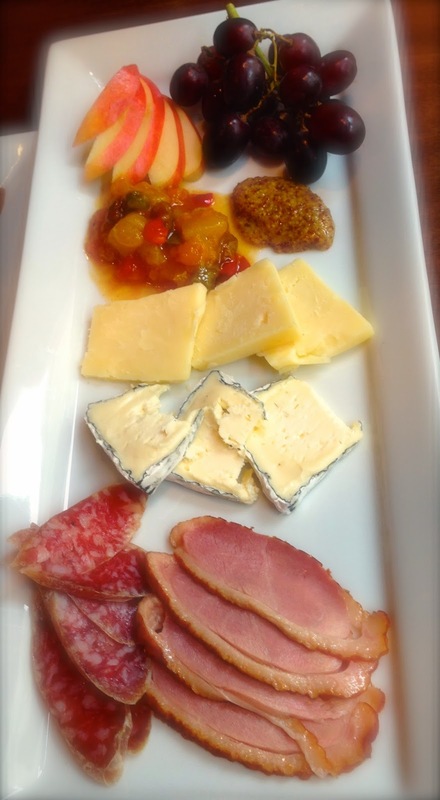 Served with crostini, the board featured an assortment of meats, cheeses and an accompaniment of fine mustard, chutney, pickled vegetables and fruit. Always a crowd pleaser, you just can’t go wrong with sharing boards! Overall, our experience at the Moscow Tea House was very positive, and we will definitely be returning to take advantage of everything else it has to offer. We hope to return at night to sample many of the original cocktails and live music, as well as to try our hand at some of the board games found on the second level lounging area. Verdict: 10 out of 10 for originality, freshness and delicious food! I agree. It's a really fun place to go. Interesting, beautiful, great service and yummy food. Thanks Moscow Tea Room!